MEETS AIRLINE CARRY ON SPECIFICATIONS! It comes with all the heavy duty features you are used to from this line of Production Bags. 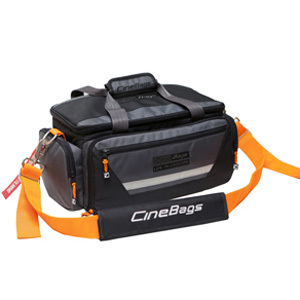 Heavy duty hardware, oversized zipper, padded shoulder strap and the CineBags key chain. Key chain "Remove before filming"
INT: 16" x 8" x 7.5"
EXT: 18.5" x 11" x 8"